Yoli Tortilleria comes from a desire to find fresh, quality tortillas in Kansas City. Marissa, a native of Mexico and Mark, from Kansas City, loved traveling and eating their way through Mexico. When they returned to Kansas City and recreated some of their favorite dishes, they noticed that authentic tortillas were missing in the markets. The tortillas they found in the grocery would smell bad and fall apart as you ate them. In 2017, they decided to craft their own tortillas utilizing the nixtamal process and the most ethical ingredients available. 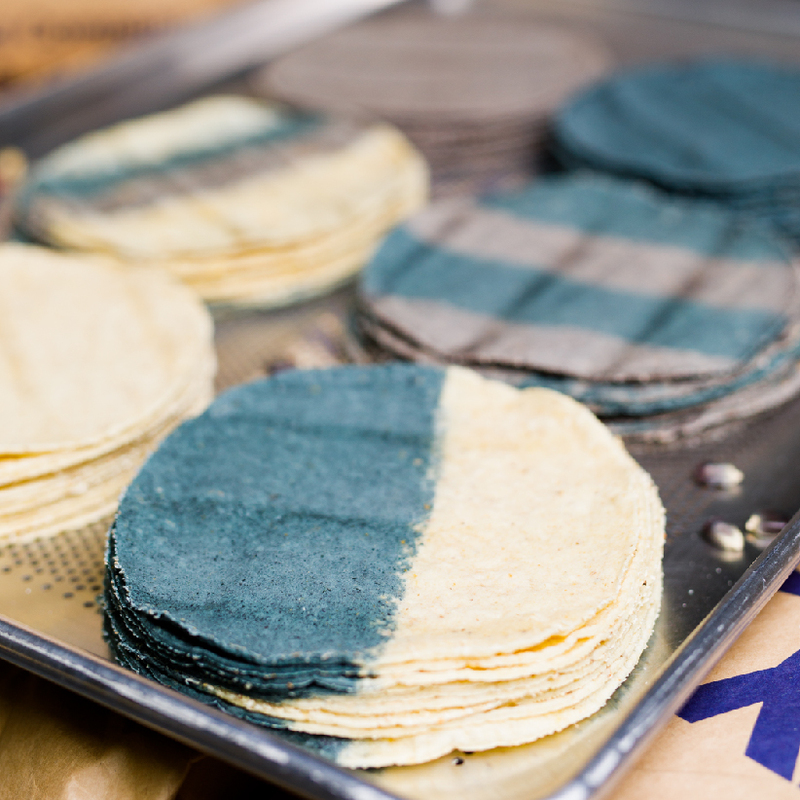 They created Yoli to produce quality tortillas that enhance the flavors of your meal. From the very beginning, this philosophy and commitment to exploration is something that has been in Yoli's DNA. Yoli’s hero is inspired by founder, Marissa's mother, who had a deep passion for Mexico—an American who married a Mexican and adored its culture. Her bravery, love, and exploration of Mexican culture continue to inspire. Marissa's mother's spirit is captured with her round sunglasses and scarf and is often combined with the landscape her family drove on her road trips through Mexico. We continue to explore and grow our love for the Mexican culture and food. Yoli represents our family’s journey and that stop at nothing attitude.